The next big release, Phoebe, is coming November 4th and it contains a surprising number of changes that affect wormhole space. The biggest change coming our way is the long-distance travel change which I already covered last week. A recent dev blog discusses the rest of the changes and there are a few others that are pretty exciting for residents of w-space. The sensor overlay was added back in the Odyssey expansion. While it has proven to be useful in just about every area of space, it is likely to shine the most in wormhole space. As detailed in this dev blog, it is getting some very nice upgrades and improvements. Probably the biggest one is that the sensor overlay will now show even more things in space (including bookmarks!). This is likely to be an invaluable quality of life improvement for w-space residents as the majority of the things we warp to are bookmarks, which currently need to be accessed from the right-click menu. Being able to see the bookmark(s) for your connection(s) or POSes in space will be useful for quicker access to those locations without using a right-click menu. Admittedly, there will be times that the right-click menu is faster but that will depend on the number of bookmarks in space and your (newly added) sensor overlay filter settings. You will be able to pick and choose whether to show things in the sensor overlay like anomalies or signatures and you can even filter the display of bookmarks on a folder by folder basis. These settings are being set per character on the account and are saved to the server, so you can customize your alts however you see fit. If your corporation has multiple folders for bookmarks the right-click menu can get a little large and finding the exact bookmark you need can take a few seconds that you’d rather spend warping to help a friend in a fight. It could potentially be faster to find the bookmark in space (assuming you have some idea of the general direction of the bookmark) and then right-click -> Warp from there. It’s hard to say for sure which way is faster until people have played around with it on Sisi. Along with these changes, a compass is being added around the HUD that points toward the location of the different items being shown on the sensor overlay relative to your ship’s location (and likely camera orientation). I think once players get things filtered down how they want the combination of the compass and seeing bookmarks on the overlay, it will add some options to navigating in w-space. Many will stick to doing things as they always have, but it’s good that CCP is giving players more options for getting around. The last two parts of Sensor Overlay 2.0 are better overlay stacking (thank Bob!) and a shortcut for bookmarking locations in space (thank Bob again!). The current stacking for overlay signatures in space is, in a word, terrible. If more than a few things overlap it can be quite frustrating trying to find the one you want and interacting with it in space, so you typically use the scanner window instead. Phoebe is going to be replacing the current stacking of overlay items with the same stacking used for other brackets in space (which isn’t perfect but does a far better job). The new shortcut to bookmark locations in space (Control + B) will be great for the creation of safe spots all over New Eden. You’ll also be able to edit saved locations from the right-click menu without opening the People and Places window. These are two great features that have been a long time coming and they are welcome changes. There isn’t enough to say about these last few changes to warrant dedicating a whole section to each one so they will be bundled together. 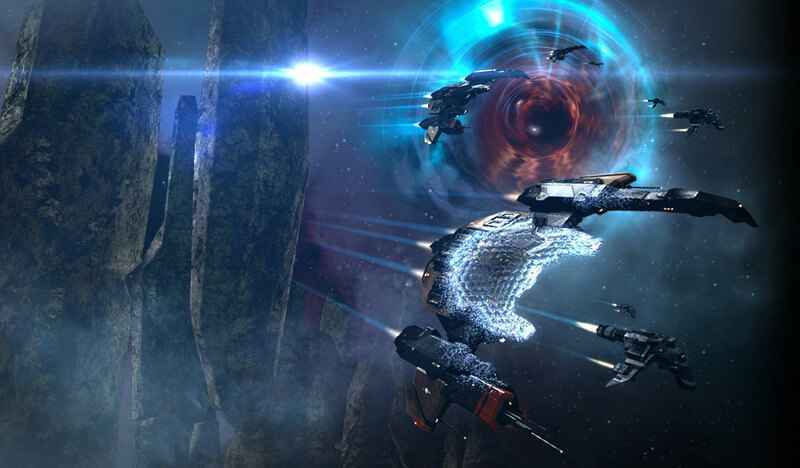 For starters, nullsec exploration sites are being added to wormhole classes 1 – 3. CSM 9 member Corbexx has been working on gathering data on the income from wormhole sites of all classes as it is an oft-complained about issue that the potential income from lower class wormholes is far lower than it should be. The addition of these sites should add some nice income for people living in the lower class wormholes while also adding more targets for people looking for PvP. According to CCP RedDawn these data and relic sites will not include sleepers as they will be exactly as they are in nullsec, but he does state that this may change. The scanner window is finally getting broken down into separate windows instead of being tabs within the same window. This means you can manage your probes while scanning out a system and still have direct access to the directional scanner. This might seem small but w-space residents are excited for this change, some have even called it the greatest buff to wormhole space ever. Hyperbole aside it is still nice to be able to take advantage of these tools simultaneously while hunting for targets or even just keeping an eye on your surroundings while you scan out a new wormhole in your chain. The Oceanus release gave us a new cloaking effect and in Phoebe CCP is adding some variants to that new effect for Covert Ops and Prototype cloaking devices. This isn’t much but I think EVE is a beautiful game and who could possibly complain about more eye candy? Plus since w-space users love Covert Ops cloaks I figure we’ll be seeing that particular effect quite often. Lastly, the skill queue is being changed from the current 24-hour limitation to an unlimited duration queue. The skill queue was added in 2009 with the Apocrypha expansion and initially there were players upset it would mean nobody would ever log in again except to update your queue periodically. I for one was happy that I would never have to wake up at 3:00 AM to switch skills again, and I know I wasn’t the only one. Nowadays players love the skill queue and have been asking for a change like this for a long time. Even with the 24 hour window everyone runs into issues where you are going to be away from your computer for an extended period of time and you have to find a long skill that will last for the duration of the time you are away. Sometimes that means you end up training a skill you didn’t really plan on training at the time, just because nothing else you could train would last long enough. That will no longer be an issue with the the new unlimited queue and so far people seem happy. If you aren’t convinced by now that this six week release cycle is a great thing for the game then I’m not sure what will convince you. While not every release is going to be huge and have things that everybody can enjoy I think we can hopefully still agree that the new release cycle is doing good things for the game overall. Phoebe hits Tranquility on November 4th and I’m already looking forward to what Rhea, the final release of this year, will bring.